. :Colors from around the world:. OC Trapped in a Bottle..! 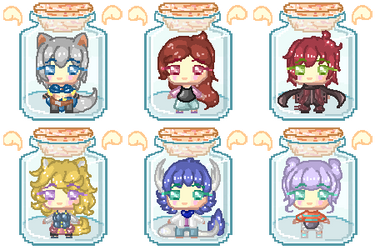 Your OC will be drawn inside this cute little bottle! Now your OC will be trapped and can't escape..! Comes with a Pagedoll and Icon. 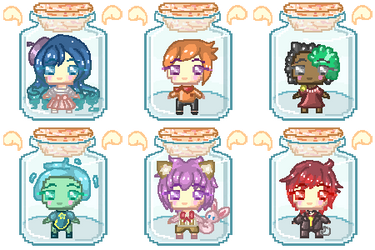 Journal Link: [Commission] OC Trapped in a Bottle..! freezingfeathers has started a donation pool! 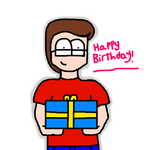 If you like my art, why not donate some as a support so that I can create more dynamically beautiful arts? Friendly donations are greatly appreciated! Happy B-Day! Hope that you’ll have a great one!